For the preparation of the Kazakh common fillet kebab taken ram, which is cut, portioned slices. After that, the meat is treated with vinegar, add pepper, salt. In a separate large plate is necessary to chop the onion. After that, everything is mixed in a large pan to allow the meat to be fed with the marinade. 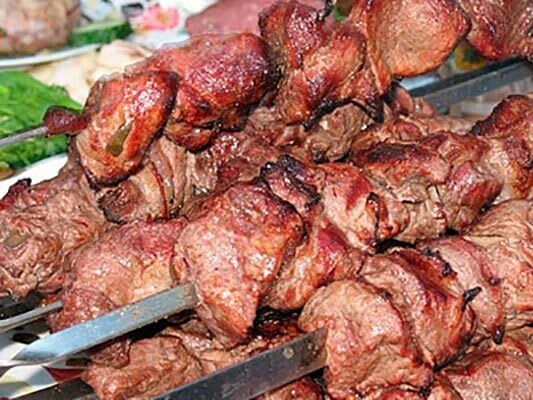 Typically, the meat marinated for about eight hours. It is believed that the reduction of this process is very bad effect on the taste of barbecue, which is too « dry ».